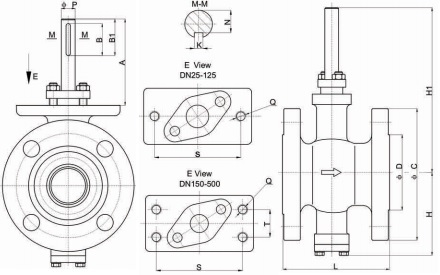 Drawing of RF flanged V port ball valve with ISO mounting pad. 2. 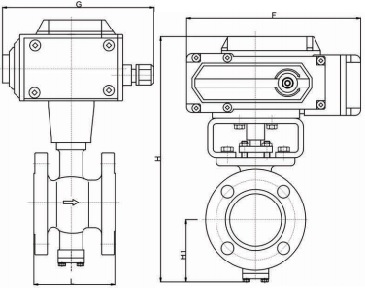 Outline Drawing of V Port Ball Valve. Outline drawing of RF flanged V port ball valve with pneumatic actuator. All the dimensions are in mm unit and weight values are in kg unit. 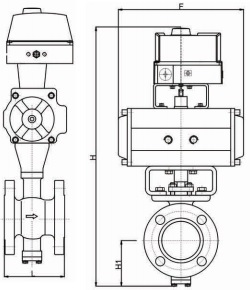 Outline drawing of RF flanged V port ball valve with electric actuator. See more specification of V port ball valve.